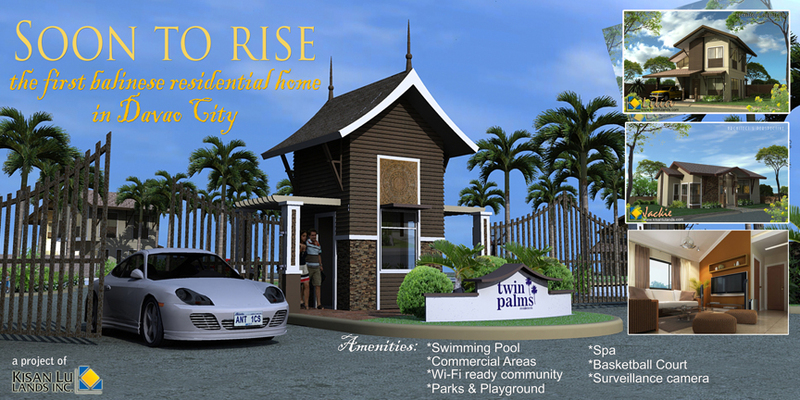 Uncategorized – Kisan Lu Lands and Development, Inc.
Villa Kareena House Model. 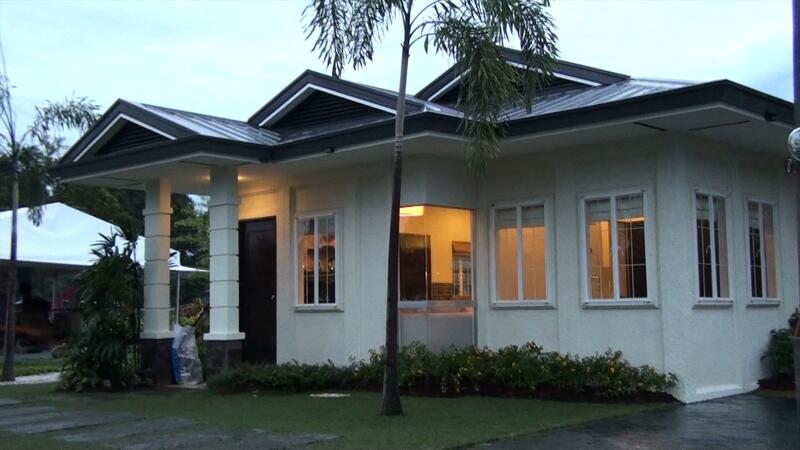 A Mediterranean community developed by Kisan Lu Lands Inc. located at Baliok, Davao City. (FREE SITE VISIT). Villa Kareena house is a 2-bedroom shelter with a total floor area of 38.48 sq. and a lot area of 100 sq.m. The owner does not only enjoy the house but also facilities like basketball court (half court), Entrance gate with 24-hour security guards,permiter fences and full cemented main and auxillary roads. AVAIL OUR XMAS PROMO! Pay the 20 % downpayment in 2 yrs at ZERO interest.On selected blocks, pay the whole package in 5 yrs at ZERO interest! Choose our Asian Contemporary Houses designed by the leading developer of Davao Kisan Lu Lands Inc aiming to have a green or eco-friendly community. 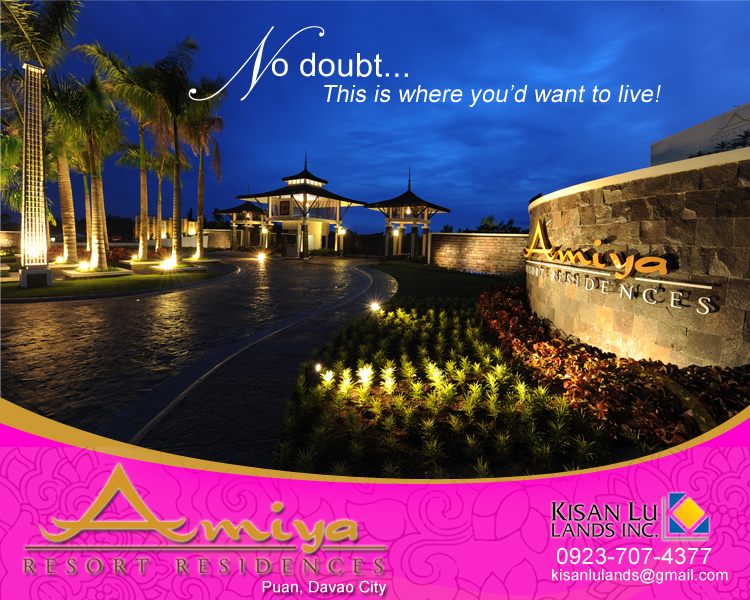 Here in Amiya Resort Residences, you will experience life that is anchored in true beauty as it is surrounded by nature. Only in Kisan Lu Lands and Development Inc. You can also buy lot only at Amiya. 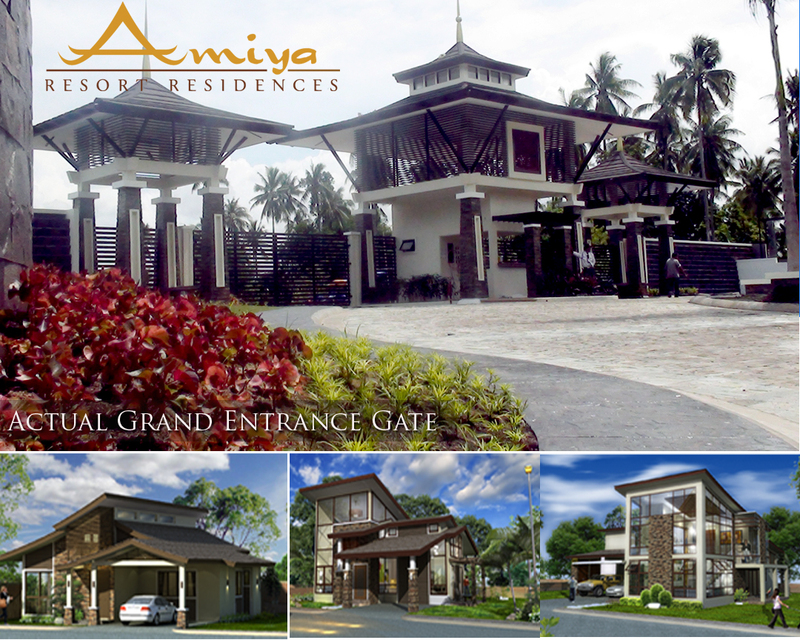 Click me here for more information about AMIYA RESORT RESIDENCES! GOOD NEWS: Avail the 16- month dowpayment/ equity at ZERO interest! Bambu Estate soon to rise in the recently acclaimed most feasible in housing in the city- MINTAL (infront of Phil Sci.High School). A Japanese zen culture inspired community developed by Kisan Lu Lands Inc.
Santiago Villas is strategically located at Catalunan Grande, Davao City. 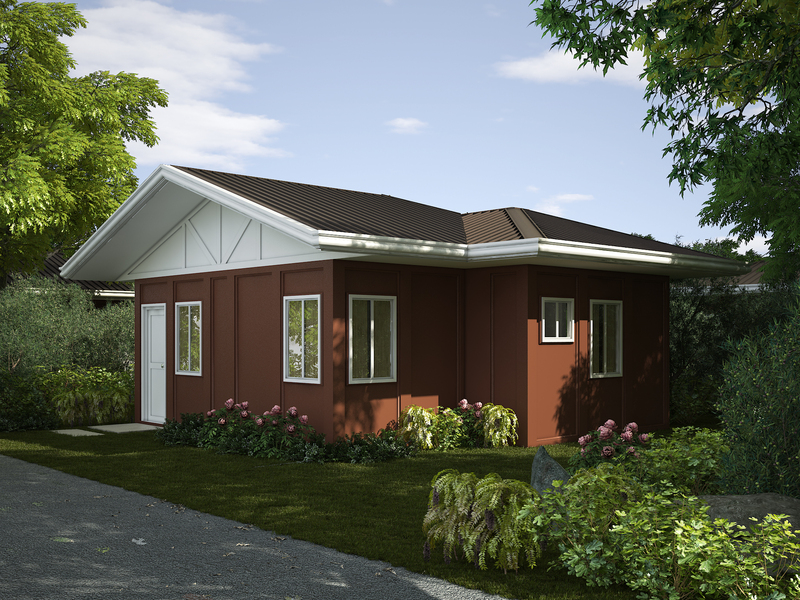 The house model shown above is the actual house at Santiago Villas and many more to choose from. 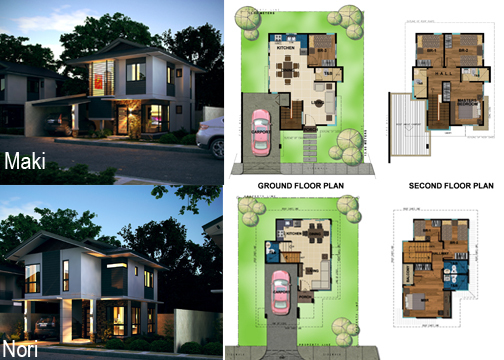 At KLLDI, we offer you this model house at P3M only compared to other developer, this is more than 6M! This is because we, the KISAN LU LANDS INC, responds to the call of economy, to provide affordable shelters for each family. Interested? email kisanlulands@gmail.com or text 09237074377 (sun).